Elliott Roofing’s warranties protect you – and give you peace of mind. Warranty is in effect five years from the date of completion at the address. Labor warranty covers workmanship on the roof and includes materials and labor to remedy any problem caused by workmanship. Warranty does NOT cover any material defects or damage caused by lightning, gale (50 mph) winds, tornado, hailstorm, impact of foreign objects or other violent storm or casualty, or damage due to settlement, distortion, failure or cracking of the roof deck, walls or foundation of a building. Warranty applies to roof only. Not responsible for content/property damage after installation and during warranty period. Warranty is in effect from the date of completion for as long as you own your home. Labor warranty covers workmanship on the roof and includes materials and labor to remedy any problem caused by workmanship as long as you own the property. Warranty applies to qualified roofing systems. Ask your Elliott Roofing representative for more details. Warranty does not cover any material defects or damage caused by lightning, gale (50 mph) winds, tornado, hailstorm, impact of foreign objects or other violent storm or casualty, or damage due to settlement, distortion, failure or cracking of the roof deck, walls or foundation of a building. Any workmanship performed to the roof after the initial installation by anyone other than Elliott Roofing will void the warranty. Warranty applied to roof only. Not responsible for content/property damage after installation and during the warranty period. Warranty is transferable one time within 12 months of installation date, and Elliott Roofing must be notified in writing within 60 days of closing. Elliott Roofing serves as a roof insurance claim specialist. We help assess roof damage claims and file roof insurance claims. If you have experienced damages to your roof due to rain and water leaks, tornadoes, ice or storms, Elliott handles your liability and property insurance with care to receive the best coverage. Elliott Roofing serves as your roof damage inspector and works with your insurance adjuster to file your damage claim. We know your home is your castle, and your business is your livelihood. We can help. Elliott Roofing provides a full package of roof repair, construction and maintenance services, as well as being able to work with your insurance provider. 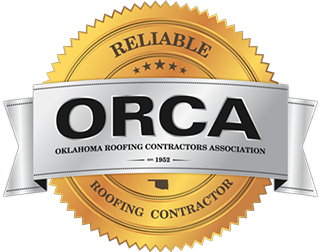 We offer a full continuum of quality roofing support, regardless of the job size. 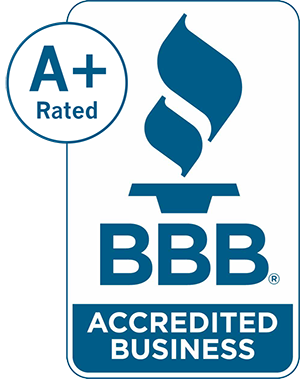 Let Elliott Roofing handle what we know best – roofing. Your average home inspector is not a professional roofer, and for the untrained eye, red flags can be tricky to find. Each Elliott representative has undergone hours upon hours of professional training and continued education classes. Our roof inspections serve to provide the homeowner with a professional opinion of the roof’s conditions and needs. Roof inspections are used to bring value to your home. Our roof inspection package includes a completed inspection form detailing the condition of all roof surfaces, your additional components and roof accessories in a checklist format. You will receive five photos for your visual review. All of our inspection packages will come with a comprehensive letter from your Elliott representative. The letter is a summary-style review of the roof inspection form and interpretation of the representative’s findings. Trust the experts when it comes to inspecting and valuing your home. Call Elliott Roofing to schedule an inspection today. A roof inspection for your protection.